There are two types of childcare services community and private; the Community work within the Not-for-Profit sector while private is for profit and are self-employed. The only difference between the two is that parents using a community childcare service may avail of reduced rates through the community childcare subvention scheme if the parent is eligible. Child care for school-going children provided outside of normal school hours where the same children attend the child care facility on a regular basis and access to the service is clearly defined by agreement with parents and guardians. The term “after-school child care” would generally refer to such a service which takes place after school hours during the school term. However, other school-age or “out-of-school” child care facilities may open before the school day, from 8 a.m. to 9 a.m. and-or during school holidays. There is a variety of such services provided, which reflects the diverse needs of families for such child care. There is no notification or inspection system in place for school-age child care. A home based childcare service is ideal for you if you want your child to be cared for in a home environment where they can socialize in a small group of children of varying ages. Home based childcare services can also provide structured educational play and learning. A Nanny Au Pair is employed by parents to provide childcare in the child’s own home and can look after children of any age. Nannies may be live in or come to your home on a daily basis or as required. There is no legal requirement for a Nanny to be qualified in childcare but many have childcare training. Nannies do not have to notify the HSE pre-school Services. When choosing a nanny it is important that you interview the person and check all references supplied before offering the post. When employing a nanny, the parent should be aware of the relevant employment legislation and have employer’s liability insurance cover. 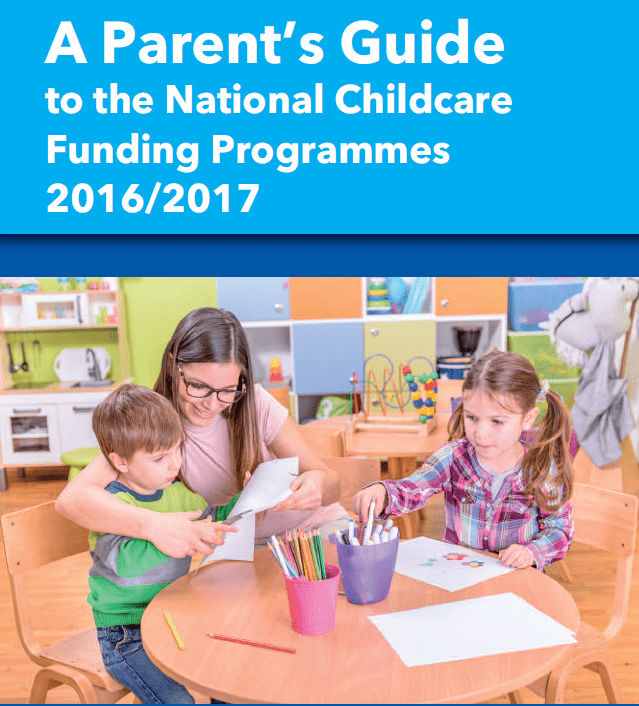 Cavan CCC has produced a booklet called ‘An Easy Guide to the Childcare Programmes’ with a description of all four childcare programmes, Early Childhood Care & Education Scheme (ECCE) Community Subvention Scheme (CCS), Childcare Education & Training Scheme (CETS) and After-school Childcare Scheme. The booklet will be useful for both childcare services and parents to understand what programmes are currently available to the childcare sector in Ireland at present. Please download the booklet on the link or you can call in to our office and pick one up.